The A-Team was a show that ran for 5 seasons on NBC from 1983 to 1987. It was about a group of men on the run from the U.S. Government after being accused of a crime they didn't commit during the Vietnam war. They promptly escaped from a maximum security prison and put their special training and skills to good use by helping those in need while evading the military police at every turn. It was very formulaic with stand alone episodes for much of the early seasons, most following the same storyline of being hired, breaking Murdock out of the VA Hospital, having to duck past Lynch or Decker, getting into some sort of trouble, and then miraculously getting out of it and helping those who hired them. A con, with or without an elaborate disguise, was usually involved in some fashion, and there was most always a montage of them building something to help with their current case. Season 5 introduced a shift in the tone of the show as well as a more serial storytelling approach, which was not popular amongst most watchers of the show, but I rather enjoyed the episodes that broke the mold, so the change did not bother me. The best part was definitely the relationship between the four main characters: Colonel John "Hannibal" Smith, Lieutenant Templeton "Faceman" Peck, Sergeant Bosco "B.A." Baracus, and Captain H.M. "Howling Mad" Murdock. They all had great chemistry together and were like a family, as the team was the only thing they could rely on in the world since they were on the run. They may have argued with each other and B.A. growled at everyone, but it was never serious enough to break the bond that they created during the war and for the 12+ years after. Within that family unit, it is really the relationship between Face and Murdock that is my favorite part of the show. Most people would probably disagree, but I found the last season to be a welcome change of pace allowing for richer character development, especially for those two. I believe that the characters grew more in the short last season then they did throughout the four seasons before, and I really appreciated that. I watch tv shows for the characters, their development, and their relationships with each other, and the fifth season really delved into the characters of Face and Murdock and fleshed out their friendship, so I was happy with most of the changes in the show. 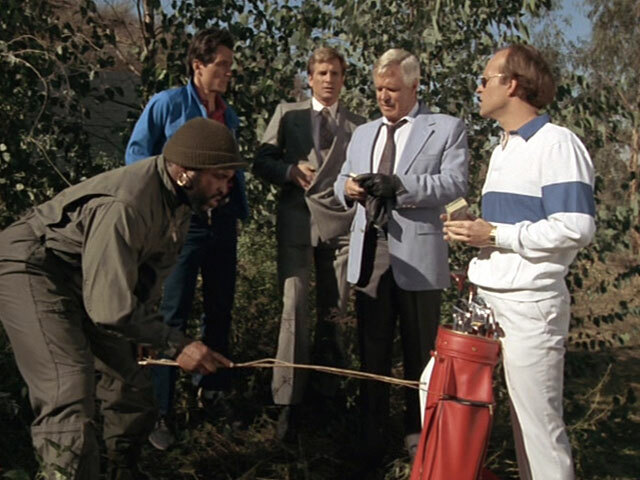 The A-Team was created during a simpler time in the television landscape, so it has a certain charm about it that hasn't diminished over the years. I didn't start watching until years after it went off the air, but it was my go to after school show when it was on in reruns. Nothing too dramatic ever happens - no cliffhangers, plot twists, or romances lasting more than an episode - and through all of the explosions, car chases, and gun fights, there is only a single character death. Sure it's silly and cheesy most of the time, and I may get a lot of enjoyment nowadays looking for all of the mistakes involving stunt doubles facing the camera, but The A-Team is still highly enjoyable to this day and is so nostalgic to watch.